The Pocket Jib Traveler is designed for shooters who require an ultra-portable jib solution. 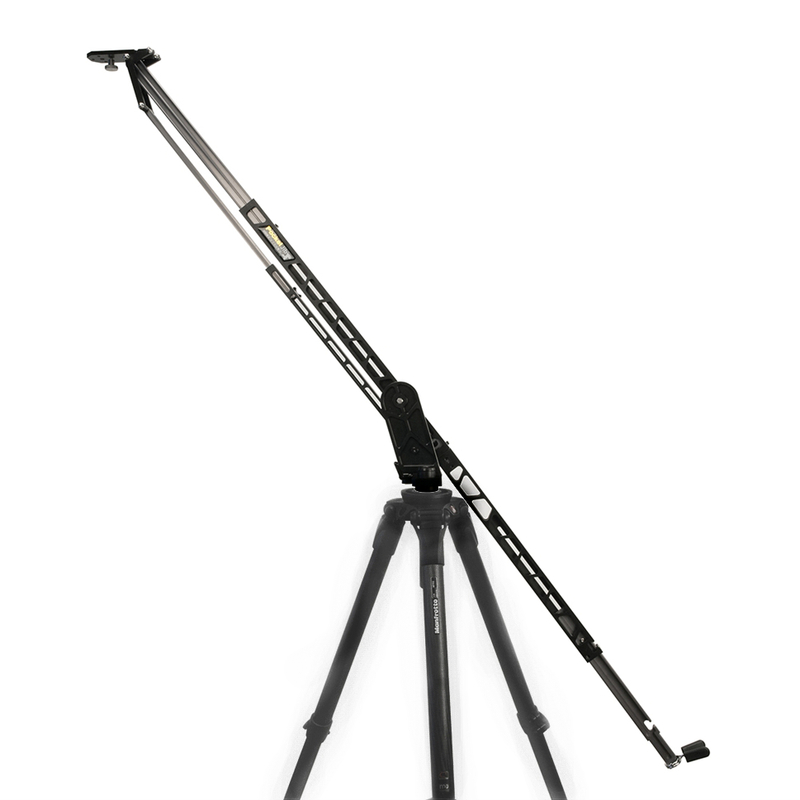 The Pocket Jib Traveler is 27" in length when collapsed and has a circular travel distance of 72" when fully extended. It surpasses other ultra-portable jibs through its unique design and light footprint, providing shooters with the perfect travel companion as they trek through extreme environments to capture the perfect shot. The Pocket Jib Traveler is completely self-contained and does not need to be disassembled for travel, unlike most other similar-sized jibs. It also features drag control and locks, a rare feature in the ultra-portable jib category. 74 x 9 x 4"